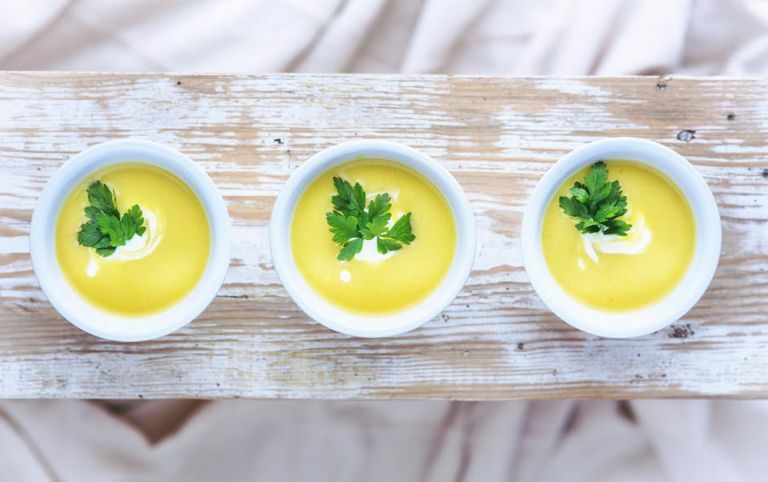 Soup is a quick and easy dish that we can indulge in on the go without feeling incredibly guilty about our calorie intake. However, there will still be those people that tell you homemade soup is far better than a tin of Heinz from the supermarket that is undoubtedly laden with salt. What about the best pressure cookers? A soup maker is essentially just a blender with a heating element. Chuck in your veg and push ‘go’. You don’t even have to stand there and watch it, simply leave it to it’s own devices for around 30 minutes and return to a delicious (and healthy) meal. If you really don’t want any faff, you’ll be pleased to hear that the most basic soup makers only cost around £50, are fairly intuitive, and dishwasher friendly. However, if you do see yourself as a bit of a Gordon Ramsey or Marco Pierre White (No, we don’t mean the excessive swearing), then you might want to invest a little more towards a soup maker with all the mod-cons such as pre-set programmes and consistency control to really taste the difference. The average soup maker is around 1.5L and will get you around 4 portions, so if you’re into meal prep or like man-sized portions, opt for a 1.6L or higher. Do your weekly meal prep all in one evening with this Morphy Richards Soup Maker. Or, if it’s leg day, take the weight off with a quick and easy dinner that won’t have you standing over a hot stove. This is one of the best soup makers 2018 has to offer because it doesn’t cost a bomb and doubles as a smoothie maker. You’ll also get a recipe book if you get bored of the same old soup. This is a family sized blender that does more than it says on the (soup) tin. The Cusinart Soup Maker allows you to make soups, sauces and smoothies as well sauté, boil and simmer your way to food that tastes great. However, although it states a capacity of 1.75L, hot liquids can only be filled up to 1.4L. Aside from this, it’s low maintenance and easy to use, so if you have the money to spare, it’ll go a long way in your kitchen. The Tower Soup Maker may be the cheapest on the list but it’s great for just getting the job done. We think this is one of the best soup makers for students because It’s super powerful and doesn’t require supervision. If you’re off to uni, then put your mother’s mind to rest by packing your greens into this handy tool, set the timer and go about your day. We’re sure this soup maker will give you less time in the kitchen and more time for studying (or partying). If you just want an easy-to-use soup maker that won’t let you down, then we recommend investing in the Salter Electric Soup Maker. It’s featured on ITV’s This Morning, so it must be good, right? It’s larger than average but with only three settings to choose from, so you really can’t go wrong. You can leave this gadget to its own devices without overspilling or burning, so If you’d rather chew your own arm off before donning a pinny, then this is the best soup maker for foolproof cooking. If you like to get ahead with your week by cooking in bulk then the VonShef Multifunctional Soup Maker can make soup and pretty much anything else you fancy. Make soup, steam vegetables, boil eggs and make smoothies and sauces all in around 20 mins or less. The large capacity can make around 6 servings ; ideal for extra-large portions or cooking for friends. Put the tin of Heinz down and head to the electrical aisle because this is now your new soup buddy. If soup is your go-to meal then the Tefal Easy Soup Maker is a hassle-free, intuitive model that will provide excellent results every time. If you liked the one featured on This Morning, but it was just a little out of your price range, this one does pretty much the same thing for less. You’ll get a handy recipe book so you can venture away from the bog-standard tinned tomato, and its medium capacity is just enough to feed a family of 4. Many customers have stated how easy-to-use this product is, so if you’re trying to be more adventurous in the kitchen, now’s the time. If you often find you’re left with masses of leftovers when making your lunch or dinner, then the Morphy Richards Total Control Soup Maker is the gadget to buy. Sometimes, one portion is all you need, and with this unique portion control function, you’ll be able to tailor your cooking to your lifestyle. We also think this is one looks quite cool.